Today only! Save 25%+ on Hanna Andersson Pajamas! Tuesday only, save at least 25% on ALL sleepwear at Hanna Andersson – even new arrivals and licensed styles! I love new giveaways and I love natural snacks over crap-laden ones, so I share this awesome, 20 winner giveaway! Blogger Opp: Black Forest Organic Candy Giveaway - 20 WINNERS!! $2000.00 TRV!!! Will be ADVERTISED! 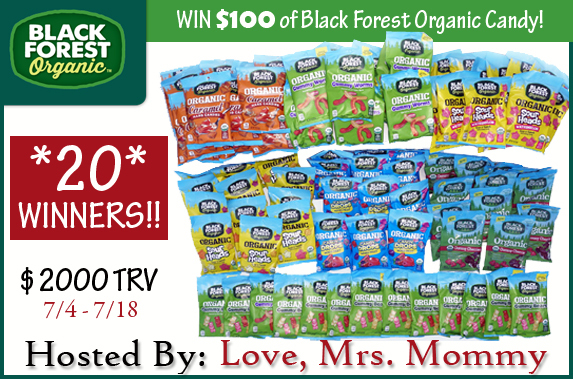 Love, Mrs. Mommy is hosting a HUGE Candy Giveaway where *20* people are going to WIN $100 worth of Black Forest Organic candy!! That's a $2000 Total Prize Package!! This giveaway will be advertised! More co-hosts = more advertising! I need your help promoting! There are FREE and Paid Options Available. I look forward to working with you to promote this HUGE & very EXCITING giveaway! Thank you for your help! $100 worth of Black Forest organic candy!!! I would love your help promoting! Together we can accomplish a lot! 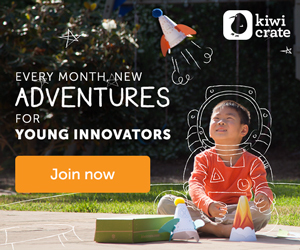 Please sign up today! Thank you! Co-Hosts Wanted and Needed ~ $18 for 5 links of your choice (Facebook Comments, Blog Comments, Giveaway Entries, Daily Votes, Social Media Follows of your choice, and Secret Word Pages, but NO GOOGLE+) PLUS the 1 FREE link above gives you 6 Links Total!